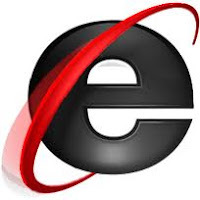 Exchange Anywhere: Microsoft Security Advisory Update on Internet Explorer Vulnerabilities ! Microsoft Security Advisory Update on Internet Explorer Vulnerabilities ! Today I saw a tweet from Windows IT pro over the latest Security Advisory Update from Microsoft Team on Internet Explorer Vulnerabilities that could allow remote code execution, and the primary target is IE8 and IE9 but Microsoft team update that this could affect all supported version of Internet Explorer and they are working towards addressing this issue and also released a fix it that can resolve the issue for now.